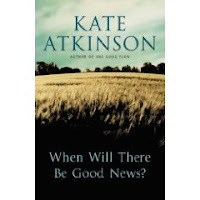 Her latest crime novel, When Will There Be Good News, picked up the best book of the year gong at the British book awards last month, but the Whitbread prize-winner Kate Atkinson has admitted that she'd rather not be a published author. Her reclusive streak was revealed on stage this morning at the Guardian Hay festival, where she confessed her ideal situation would be "to have enough money … [to] write and not be published". She doesn't, she told Guardian Review editor Lisa Allardice, like reviews or critics. "It's a very uncomfortable thing for a writer, we're very tender," she said. Writing is the thing she does best, how she earns her money, but "not being published would be great", Atkinson continued. "When I say that to other writers they look at me as if I'm totally insane." Even though she doesn't feel a need to be published, she said she "probably need[s] to write", a distinction which JD Salinger – who hasn't published a word since 1965, despite rumours of shelves groaning with manuscripts – would surely recognise. But it's not an "overwhelming burning urge," she added, suggesting she would "rather potter about in the garden". "My work is not my life," she said. "I started writing quite late, I didn't have that 'writing is everything, my art is all'. You have to be able to recognise the difference between the two." Alison Flood's full story here.